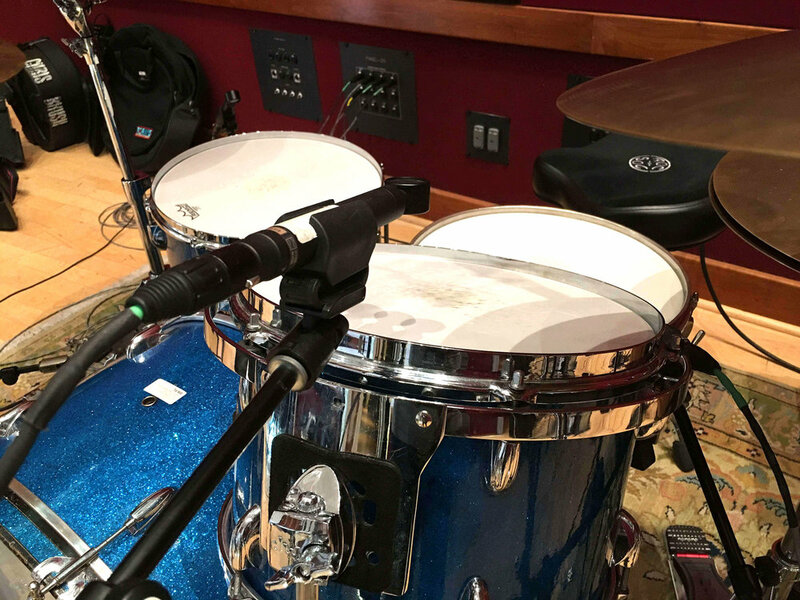 There's no better way to get a great drum recording than by starting with the perfect kit, then capturing it in a large room using excellent mics. Check out this recording made at a recent summer camp for teens held at The Blackbird Academy in Nashville, TN. Campers came from as far as Australia and Wales to learn about music production. They took part in the setup, then played the kit recorded by an all-star array of microphones. The Kit: Vintage 1960s Gretsch Round-Badge 3-ply 13" / 16" / 24" with a Joyful Noise 4X13 Brass Snare and a WFL 5X14 Red Sparkle Snare. The Engineers: Steve Cordray with Cecilia Castleman assisting. Further assistance was provided by attendees at The Blackbird Academy's Summer Camp. 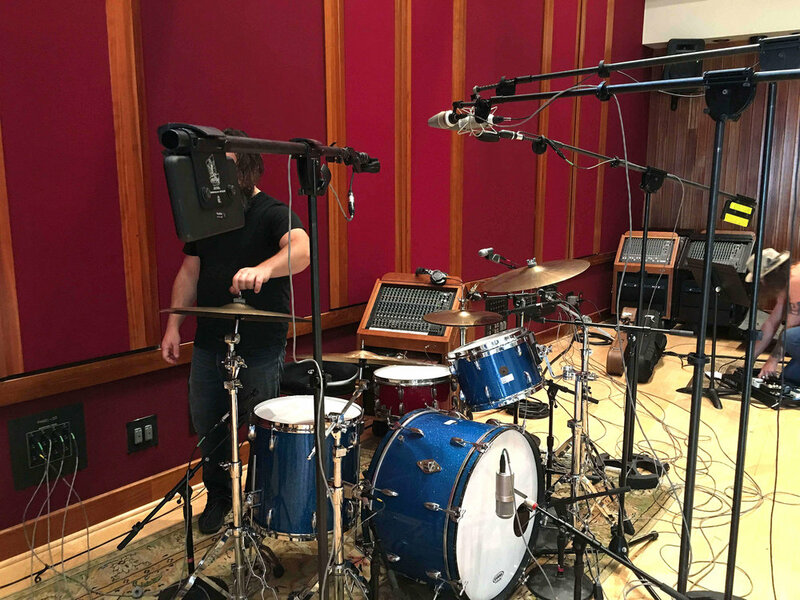 Random Notes: The kit was set up in Blackbird Studio’s large Studio A tracking room. The 414 in the photo at the top of the story is a "crush" mic placed facing the kick beater. It's then heavily compressed to bring out the attack of the kick and tastefully tucked in with the rest of the mics. The Coles 4038s were spread wide to make room for both the TLM 107 and U 67 reissue. This isn't a common setup but I was shooting out the TLM and 67 as mono overheads. Watch for Julian Rodgers to expound on that in a future post. Pretty standard stuff here, 57 on top and a 421 underneath. By the way, this snare drum sounds amazing! The kit was placed mid-room in Studio A at Blackbird. Drums sound excellent in this room no matter where you place them which is not the case in some large studios. In this case, it worked best for line of site to the other players.